Chronic wasting disease (CWD) is a lethal neurological disease of species within the deer family (cervids), including deer, elk, and moose. It occurs in about half of the states and in provinces of Canada, is significantly impacting deer populations in some states, and the frequency of infection and rate of spread are increasing. For the last 40 years, the working hypothesis, known as the prion theory, claims that the causative agent of CWD is a malformed protein that’s called a prion. However, Dr. Frank Bastian, a scientist, has discovered that the transmissible agent of CWD is a tiny wall-less bacterium called a spiroplasma. The strategies for control of such a bacterium include the development of a diagnostic test kit to immediately detect the presence of CWD infection in both live and dead animals. This would permit us to test deer in minutes for the presence of the CWD-causing bacteria, and protect humans from eating infected venison. Hunters could carry a test kit in the field while hunting. This is extremely important in that government researchers have discovered that some species of monkeys, our closest animal relatives, were infected after eating infected venison. In addition, Dr. Bastian has discovered that this spiroplasma bacterium is associated with human neurodegenerative diseases including Creutzfeldt-Jakob Disease (CJD), Parkinson’s Disease, Lou Gehrig’s Disease, and Alzheimer’s Disease. Within a year, he plans to construct an antibiotic vaccine to save deer and elk, and then redesign it for curing the above-mentioned diseases in humans. The CWD disease has been discovered in sheep, goats, and cattle (Mad Cow Disease), and recently in mink, camels, and big cats – placing lions and tigers in the cross-hairs. If not stopped, this bacterium has the potential to alter worldwide natural ecosystems forever. Unified Sportsmen of Pennsylvania (USP or Unified) has entered into an agreement toward funding Dr. Bastian’s research to eradicate CWD; to save deer, elk, moose, lions and tigers, and other animals; and to protect human health in Pennsylvania and throughout America. Unified is now attempting to raise $100,000 in each of three years for a highly specialized lab assistant and associated research funding for Dr. Bastian to continue and complete his research. Unified will coordinate the first-stage testing of the diagnostic test kits for Pennsylvania hunters to test deer in the field at the point of harvest for CWD infection – thus protecting humans from the possible infection of CWD. The diagnostic tests would also permit us to test seemingly healthy deer and elk for the presence of the disease. Unified would also conduct first-stage testing of a vaccine in Pennsylvania as a national demonstration project for protecting animals and human health before dispersing these preventative CWD strategies to other states throughout America. All people, whether you hunt, hike, or just enjoy our great outdoors will soon be affected by this rapidly expanding disease, and the related human neurodegenerative diseases have affected almost all of our families. Dr. Bastian’s Nobel-Prize-caliber discovery represents a breakthrough in CWD and human health research. He cannot continue without our help. Please help us to help him in saving our deer and elk herds, and in protecting human health. 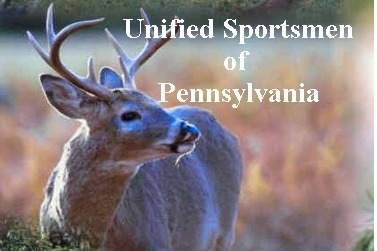 Unified Sportsmen of Pennsylvania is proud to announce that we are expanding our partnership agreement with Dr. Frank Bastian toward the control of chronic wasting disease (CWD) in Pennsylvania and throughout America, and toward the advancement of science in the protection of human health. As has been recently announced, Dr. Bastian has made a breakthrough discovery of the spiroplasma bacteria that are the cause of CWD, and projects the near-future development of diagnostic test kits and vaccines to control the disease, save our great herds of deer and elk, and protect human health. Toward this end, Unified has expanded from a three-year agreement to now working directly with Dr. Bastian in conducting a 10-year CWD and human health program. As requested by government, expanding the research plan from three to ten years would permit Dr. Bastian to accelerate his research efforts and discoveries. This expanded agreement will permit Unified to help in providing required funding and facilitate research operations. A part of this long-term plan is to develop a CWD and neurodegenerative TSE research center, permitting Dr. Bastian to focus on the rapid development of diagnostic hunter test kits and vaccines. In addition, a second focus of the program requires the field testing and application of these disease remediation strategies. As such, Unified will coordinate these pilot-testing operations in Pennsylvania under the scientific advisory services of John Eveland, making Pennsylvania a National Demonstration Project in the control of CWD. Unified and Pennsylvania will, also, assist Dr. Bastian in the training and distribution of these products and strategies to other wildlife and CWD disease management agencies throughout America. This is an exciting event and unique opportunity for Unified, the State of Pennsylvania, and all those citizens and organizations who desperately wish for an answer for a disease that, to date, has continued unabated to ravish our herds of deer and elk, and that threatens the permanent integrity of our natural ecosystems. Under the best time frame, it is projected to require up to 18 months to develop the diagnostic hunter test kit and a successive year for the development of each of two antibiotic vaccines. Until field testing has been completed, Dr. Bastian’s strategies might not be available for broad-scale implementation into wild herds of deer and elk for 4-5 years. It is now evident that at the current rate of progression of CWD in Pennsylvania, by that time the disease may be fully imbedded in our elk herd and spread so far within the Commonwealth’s deer herd to make it excessively challenging to contain the disease. Therefore, Unified is also announcing our full and unconditional support of a bill by State Representative David Maloney that is designed to implement new, scientific, regulatory methods toward halting the progression of the disease until Dr. Bastian’s strategies come on-line. We heartily encourage the Pennsylvania General Assembly and Office of the Governor to expedite passage of this bill in a common cause with Unified and the citizens of the Commonwealth to stop CWD and protect human health. We all have family members or friends who have fallen to related neurodegenerative transmissible spongiform encephalopathy (TSE) diseases such as Creutzfeldt-Jakob Disease (CJD), Parkinson’s Disease, Amyotrophic Lateral Sclerosis (ALS or Lou Gehrig’s Disease), and Alzheimer’s Disease. There is now hope that Dr. Bastian’s 10-year program will shine a new light on the prevention and cure of these devastating human diseases.